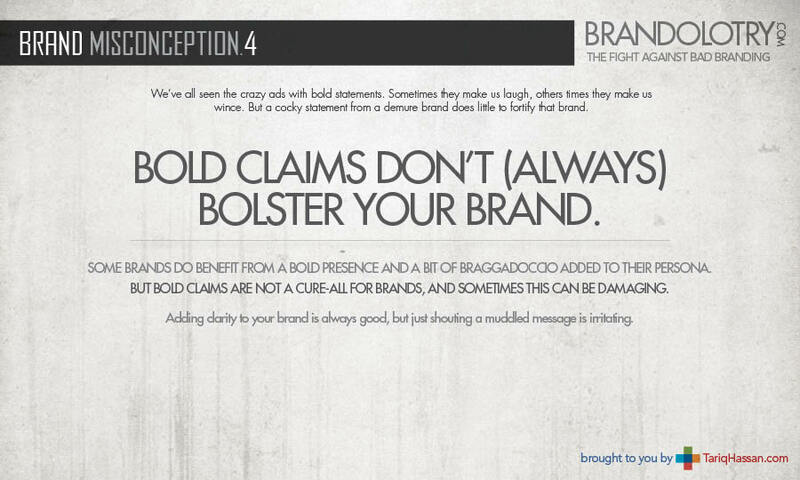 Misconception 4 : Bold claims don’t (always” bolster your brand. Published August 9, 2013 at 900 × 540 in A logo is not a brand! Some brands do benefit from a bold presence and a bit of braggadocio added to their persona. But bold claims are not a cure-all for brands, and sometimes this can be damaging. Adding clarity to your brand is always good, but just shouting a muddled message is irritating.